MeditationAsheville.org • Transcendental Meditation Courses • Free Introductory Lectures: Why is the Transcendental Meditation technique trademarked? Why is the Transcendental Meditation technique trademarked? If the Transcendental Meditation technique is taught by a non-profit, educational organization, then why is the TM technique's name trademarked—like Apple computers or Trek bicycles? The registered trademark sign (®) is commonly associated with for-profit corporations who use trademarks to protect their brand names, products or services against infringement by competitors, and thus help insure profits. However, in the case of the Transcendental Meditation technique, the trademark serves a different purpose. Uniqueness: The Transcendental Meditation technique is unique. No other practice works in the same way nor has been found through scientific research to produce the same holistic effects as the TM technique. For example, it is the only form of meditation found in clinical trials and meta-analysis to significantly reduce high blood pressure and decrease incidents of heart attack and stroke—which is why the American Heart Association, after conducting their own research, announced that the TM technique is the only form of meditation they recommend to doctors for treatment of hypertension. Over the past 40 years, numerous research studies conducted at medical schools and independent research institutions worldwide have investigated and compared the effects of various types of meditation practices—concentration techniques, mindfulness meditation, the TM technique and other mantra practices, along with various relaxation techniques—and no other approach has been found to consistently produce the wide range of benefits for mind, body, behavior, and environment seen to result from TM practice. Distinguishing one from another: The only way to distinguish the TM technique from other types of meditation available is to maintain the technique’s registered trademark. This way, when someone learns the Transcendental Meditation technique, they can rest assured that they are really learning the authentic TM technique, because only highly trained and certified TM teachers can teach this practice or (ethically) use the name "TM" or "Transcendental Meditation." Otherwise, without the registered trademark, anyone could say that they are teaching "Transcendental Meditation," but if the person is not a trained and certified TM instructor, the practice they are teaching will be something very different from the TM technique. Trademarks protect us as consumers by allowing us to identify authenticity and not be misled by facsimiles. If meditation techniques were all basically the same and produced the same results, there would be no altruistic reason to trademark or otherwise distinguish the Transcendental Meditation technique. But all meditation practices are not the same. As the scientific studies show, the various types of practices clearly do not produce similar effects on brain function or on mind and body. 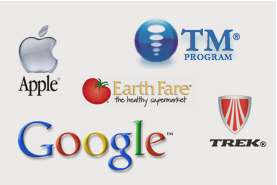 The registered trademark is another way of maintaining the original effectiveness or 'purity' of the Transcendental Meditation program—helping distinguish and preserve the authentic TM technique as taught by Maharishi, helping ensure that even future generations will benefit. • Aren't all forms of meditation transcendental?